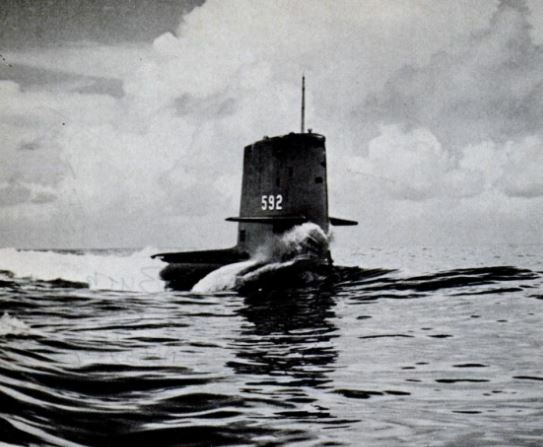 By January 1963, the United States Navy submarine force was growing at an amazing pace. The Soviet launching of Sputnik had sparked a fire in the Defense Department and the government as a whole to find ways to counter the perceived threats of an unbridled Soviet Union. The answer of course was to capitalize on the advances that had been gained by the Navy’s marriage of nuclear power to submarine propulsion. The lessons of the Second World War were clear. Submarine warfare was the key to global seapower but submarines needed to be able to operate undetected in the farthest reaches of the ocean. Nuclear power provided the means for the boats to operate in those regions and for longer periods of time. Without the constant need to come near or on the surface to charge batteries, these boats were only limited by the crew’s abilities to deploy under stressful conditions and the amount of food they could carry. But where would the men come from that would man this growing fleet? The answer in the beginning was to try and use existing sailors and officers that already had experience. Because of the complexity of the systems and the haste in which they had been built, there was a lot of risk involved in operating these new boats. Nuclear power was still relatively new and the launching of missiles from a submerged submarine had only been a dream until the Polaris program was begun. Experienced Navy men would be the main answer for the time being. New men could be brought on as the pipelines were extended. 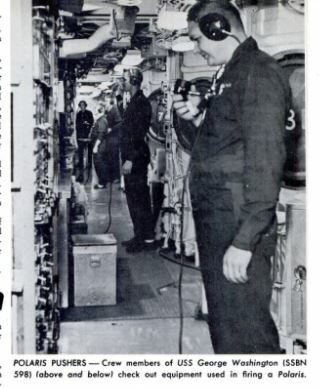 In fact, by 1972, most of the new members of the submarine community were recruits that went through the pipelines that were developed in the sixties. After nearly ten years of operations, enough seasoned and experienced men had risen through the ranks and were now in the ranks of the senior enlisted and officers operating the boomers and fast attacks. But in 1963, the Navy needed volunteers. Since submarines were always a volunteer force from the very beginning, every effort was made to recruit from within and entice men to join the ranks of the nuclear navy. While the article in ALL Hands from January 1963 does not specifically advertise itself as a recruiting tool, in the eyes of this old Navyman, it sure does look like one. I wonder how many sailors in the fleet saw this article and said: I could do that! THE PARABLE of the seven blind men who discovered an elephant? Because they could not see the strange new animal in its entirety, each visualized it in terms of the one portion he could explore with his hands. The results were deplorable, to say the least. A similar problem exists in attempting to see the nuclear submarine program of the Navy as a whole—it also is a strange new animal in our midst. Many men are interested but don’t know just what it is, don’t know if they can qualify, or if it would be to their advantage to make the attempt. One point to consider when evaluating the consequences or the potentialities of the nuclear program upon your career—it’s a wildly expanding field. At the present time, there are approximately 14,000 men in the combined submarine forces. Included in these forces are 11 FBM and 16 attack nuclear subs now in commission. As stated in the November issue of ALL HANDs, six SSBNs, eight SSNs and one DLGN have been authorized for fiscal year 1963. Within two to three years, the Polaris program itself will require some 10,000 men. 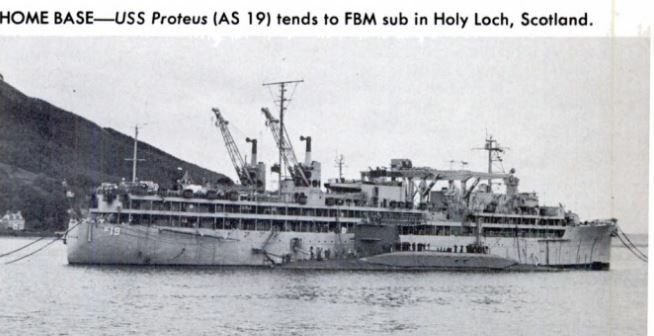 The FBM repair ships Proteus and Hunley are on station, with more to follow. ONE ASPECT of the nuclear elephant—to coin a phrase—is frequently overlooked by those considering the nuclear Navy as a career. Nearly a third of the billets in FBM subs are general service billets with little or no connection with nuclear power or the Polaris weapon system. All this means a radical change in the occupations of many Navymen. The field is wide open for those who can—and will—qualify. It’s more than probable that you may be eligible to participate in one of the most exciting developments in history. Let’s assume that you want to become a member of a typical crew in one of the Navy’s FBM subs and see what your duty is like and what qualifications you must meet. FIRST OF ALL, of course, you must be a submariner. There are three basic programs that produce men qualified for duty on board FBM submarines. They are the Nuclear Power Program, the Polaris Program, and the conventional submarine school program. * SO, TM, ET, FT, and MT in pay grades E-4, E-5, E-6 and E-7 and designated strikers. * MM, EN, EM, IC, QM, RM, YN, CS, SK and SD in pay grades E-4, E-5, E-6 and identified strikers of these ratings. HM, in pay grades E-5, E-6 and E-7. SN, SN, FN, TN and TA. Because the Submarine Forces are growing rapidly, greater numbers of men in all of the above ratings and rates are needed for initial submarine training. MMs should request sub training only if interested in going on to nuclear power training. If you are afloat on Seavey and have not received orders, you may apply for basic sub school. If accepted, you will be ordered to sub school provided you have not yet received orders to shore duty. With the exception of sub school candidates ordered direct from Class“A” schools and recruit training, it is preferable that men normally serve in their present duty (sea or shore) for one year before they are ordered to submarine school. MEN Now ASHORE including those on Shorvey who have not received orders may apply for enlisted basic sub school by requesting orders direct to sub school. If you are assigned to shore duty, you must serve at least 12 months of your shore tour before you can expect detachment to sub school. This is not to say that you may not apply before your completion of the year ashore. On the contrary, it is preferable for all concerned that your applications are submitted as early as possible to permit ordering reliefs. Have 24 months’ obligated service commencing with the conveningdate of the class to which ordered. Be a volunteer for sea duty in submarines. Men in the ET, MM, EN, EM and IC ratings must be high school graduates or have a GED equivalent. Be physically qualified for submarine duty in accordance with BuMed Manual, Article 15-29. Have demonstrated evidence of emotional and mental stability and maturity. The absence of these qualities is often disclosed by a poor service record. Be no more than 30 years of age. Waivers will be considered if you are in other than source ratings for nuclear power training. IF YOU MEET these requirements, you may submit your request on the Enlisted Evaluation Report (Nav- Pers 1339) via your commanding officer direct to the Chief of Naval Personnel (Attn: Pers B-2131). You must indicate your willingness to extend your enlistment or to reenlist, if necessary, to have the required obligated service. If accepted, you will be ordered to the U. S. Naval Submarine School, New London, Conn., for an eight week basic course of instruction. Unless you hold a rating of MT, YN, Cs, SK, HM or SD, you should expect additional training when you have completed the basic course. Approximately 60 per cent of those eligible receive additional training. Therefore, if you are eligible for extra training, you should be prepared to spend at least 13 weeks at sub school. During your seventh week at the Naval Submarine School, you will receive your orders for duty. ALL THIS IS, of course, merely the preliminary. Your ultimate goal is assignment to a nuclear ship and that’s what you’re going to get. As FBM subs have the greatest construction priority for the next few years, we’ll discuss here the means by which you become an FBM submariner. If you are an MM or EN, you have an excellent chance of going directly to nuclear power training from sub school. However, most basic sub school graduates are ordered to duty either in conventional submarines, or to a non-nuclear billet in a nuclear submarine. If you are in this category, you should become a qualified submariner about six months after re-porting aboard. Once qualified, you may (depending on your rating) submit your request for Nuclear Power or Polaris training. The majority of men now being ordered to FBM submarines are already members of the submarine service. If you are now a submariner, serving in either a conventional or nuclear-powered submarine, you should submit your request for FBM submarine duty to either the COMSUBPACREP at EPDOPAC or the COMSUBLANTREP at EPDOLANT. If you are eligible for duty in an FBM sub, your name will be placed on a waiting list at one of those two locations. You will then be ordered to a new construction submarine approximately 10 months in advance of its tentative commissioning date, or you may be ordered to an operating FBM sub as a replacement. Source ratings for FBM submarines are: TM, QM, FT, MT, ET, SO, RM, MM, EN, EM, IC, YN, SK, CS, SD, FN and SN. Although there may not be billets in all pay grades, men in all pay grades are encouraged to apply should substitutions be necessary. 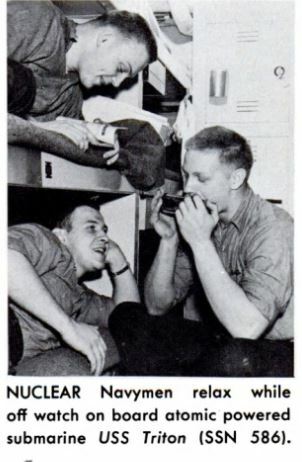 Before reporting to their assigned ship, men in the QM, ET, FT, TM, MT, RM and so ratings are normally ordered to attend courses of instruction ranging from three weeks to six months. Be eligible for Secret security clearance. Have obligated service of 24 months from commencement of course of instruction, or date of re-porting to the supervisor of ship- building in the case of men not receiving instruction. Be in one of the source ratings. Be designated SS (except for non-rated men). Let’s now assume that you meet all the qualifications for eventual assignment to an FBM submarine, are a graduate of basic submarine school, and a qualified submariner. If you are in one of the ratings that make you eligible for Nuclear Power School, you will go to either Vallejo, Calif., or Bainbridge, Md. There you will learn something about the field of basic nucleonics. The curriculum at the schools include courses in math, physics, reactor principles and thermodynamics. Plant information is also studied, including reactor technology and engineering materials and equipments. From THE BASIC school you and other potential nuclear-Navy sailors will move to Idaho Falls, Schenectady, or Windsor, Conn., for a 24- week operational course. There you will study and train on a live reactor. From this school you will be assigned to an FBM crew. Men who operate the special navigation equipment, Polaris missile launching and guidance control equipment, and other special equipment necessary for missile launching are trained through the Polaris Program. These men, although not graduates of nuclear-power school, do begin as qualified submariners, and they do receive special training at several locations. With the exception of SOs and RMs, men of this group start their training for the FBM program at the Navy’s Guided Missile Schools, Dam Neck, Va. Men trained together in these schools generally serve together as a crew of an FBM submarine. Some courses include more than one rate, but for the most part, single rates train together. HERE, FOR EXAMPLE, is the background you will get if you are an ET. You will first attend a three week navigation sub-system familiarization course at Dam Neck. An eight-week special technology course follows. It is in the special tech course that you will first come in contact with new terms, techniques and devices associated with the program. After these two courses, which are a general, over-all indoctrination on the FBM submarine and the Polaris missile system, the ETs move on to more specialized training. At this point, the group is split up to receive different training. You will become an expert in one phase of the program. Then, when you are assigned to a crew, you will learn about additional special equipment through on-the-job training. One group of ETs start a 19-week course learning about the Ship’s Inertial Navigation System (SINS). This training is done at either Dam Neck or the factory where the gear was developed. Another group of ETs spend a 19-week period at Dam Neck learning to operate and maintain different types of navigation data simulation computers. A third group spends 19 weeks training on various other special navigation equipment at Dam Neck. FROM ONE OF THESE schools you may go for further training aboard USS Compass Island (EAG 153), which is equipped with navigation equipment similar to that aboard the FBM submarines. Quartermasters also are introduced to special navigation equipment at Dam Neck, where they take a five- week course in navigation familiarization. From there, the QMs also go aboard Compass Island for additional training in the operation of special navigation equipment. Fire control technicians also start at the Guided Missile School. They first take a one-week course in weapons system orientation, and then an eight-week special technology course at Dam Neck. The special tech course is the same as that presented to many other ratings. From Dam Neck, the FTs move on to Pittsfield, Mass., for a 31-week course in SSBN fire control systems. Missile technicians, although already trained in guided missile theory, also are given an eight-week special tech training course, followed by 25 weeks of training in the missiles and guidance course at Dam Neck. Torpedoman’s mates also have an active part in the Polaris missile pro-gram. These men spend one week in the weapons system orientation course at Dam Neck and then move on to another course at the same school on ordnance preparation. Still at Dam Neck, the TMs complete six to nine weeks in missile ordnance and launching. They are taught how to handle Polaris between ship and pier, or between ships. They also study the missile launching system. Another group of men who undergo special training is the radiomen and another small group of ETs. They are trained to operate and maintain new type communications equipment which has been developed solely for the FBM program. A combination of short courses takes about 12 weeks. Sonarmen may find themselves in a 31-week BQQ-2 course at Key West, or a 12-week subjective analysis course at either Key West or San Diego. 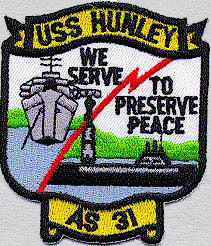 SS personnel serving outside the Submarine Force because they are in excess, and who want to investigate the possibility of returning to submarines via Polaris may address their inquiries to the Chief of Naval Personnel (Pers 2133) for sympathetic consideration. Anyone who wants to get into the Polaris Program, either the SSBN portion if eligible for submarine duty, or the support program if not, has an excellent chance via the SCORE program, no matter what his rating. Anyone else who is in the right rate can be considered for direct entry by submitting a NavPers 1339. If you are a YN, SK, SD or Cs, you may attend advanced training in your rating before joining an FBM crew, although this is not required. These ratings may be assigned to an FBM submarine upon becoming qualified in submarines. So there you are. That’s how you enter the nuclear Navy. It’s worth investigating further. One thing that is missing from this entire article is the evolution of something called a Submarine Auxiliaryman. By the time I joined the Navy, another pipeline had been added because of the need for trained men in non-nuclear mechanical equipment operation and repair. Most of the ones I served with were either Conventional Machinist Mates or converted Enginemen from the old diesel boats. We ran the atmosphere control equipment, Air Conditioning and Refrigeration systems, High Pressure Air, Trim and Drain Systems, Hydraulics, and the auxiliary diesel on many of the boats. I am proud to have served as an A-Ganger from the oldest boomer to one of the newest. While our rate has been changed again so much in this new Navy, we were there to fill a gap when the country needed us the most, along with all of our comrades that wore dolphins. 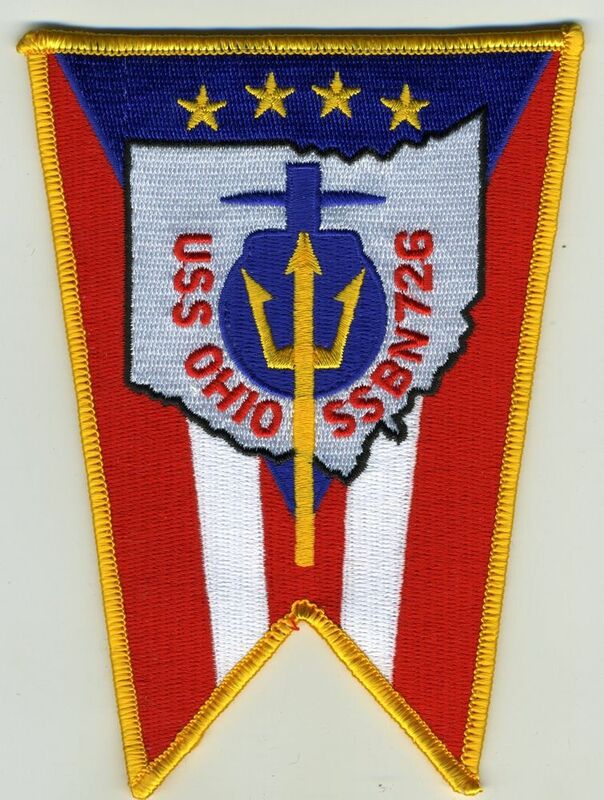 I enlisted in the Navy in August 1960, went to ET”A” school at GLAKES and by 1963 I was on the USS Nereus AS-17 in San Diego. 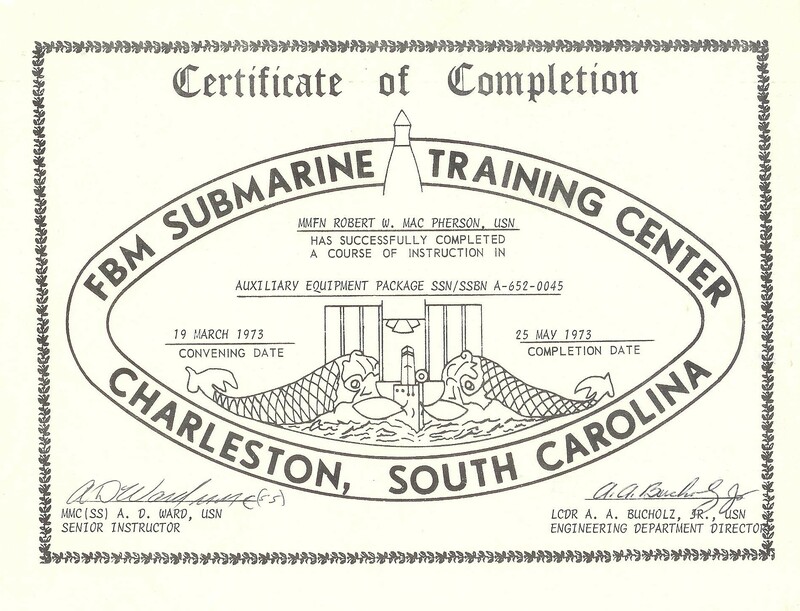 I reenlisted in 1965 and requested submarines; however, part of my package was ET”B” school. My detailer convinced me that I should go immediately to “B” school and that he would make sure that I had follow on orders to submarines. Needless to say that when I graduated there was a new detailer in town. I was informed that as an E-5, I was too senior for submarines so off I went to CVA-64, SSC San Diego, and DDG-35, all by the end of 1970. I made Chief and reenlisted again, winding up at the reserve center in Saginaw MI (I’m from Flint). In April of 1972, I received a BS in Physics from Saginaw Valley State and the next stop was OCS where I was interviewed by a Captain from NR. He offered me a teaching position at Bainbridge which I realized was a dead end job. Instructors did not make LCDR. The thought occurred to me that as an Ensign, I was junior again so I asked the Captain if he could arrange orders to submarines. 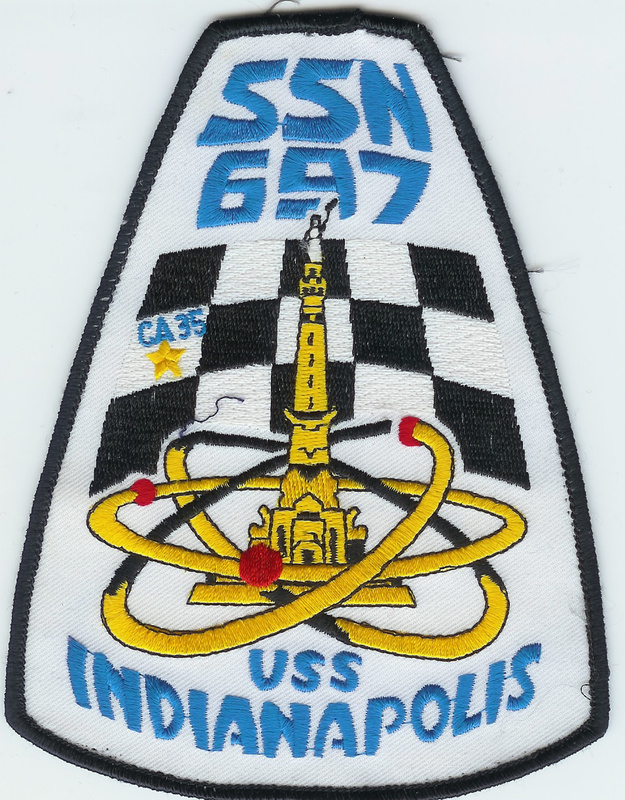 I was commissioned on the first Friday of August 1972 and reported to the USS Corporal SS-346 three days later. It ended in 1984 when I was medically retired. 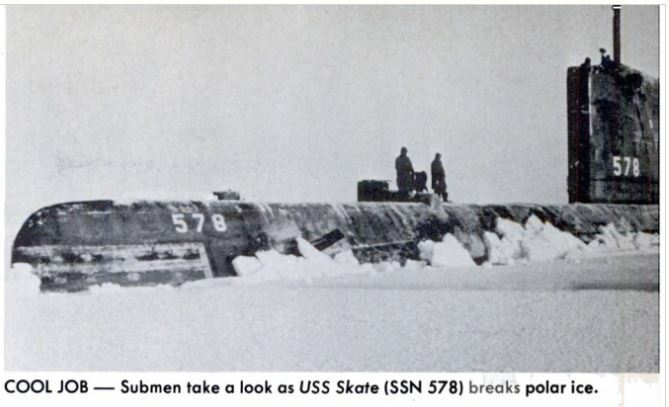 I served on SSBN 635G, SS 566, SSBN 654G, SSBN 631G, and had just reported to SSBN 636G when the physical problem forced my retirement. I went to boot camp with my closest friend and at every assignment and civilian job, I have worked with someone I worked with before in the Navy. It has been a unique journey highlighted by the many wonderful people I’ve met along the way. Tom, thanks for your service and the feedback. I found my submarine time to be a mix of boring and terrifying. Mostly boring. Sailing on the George Washington out of Guam gave us many adventures. The San Francisco was also a lot of fun since we traveled and did some amazing things we can never share. All in all, I miss it a lot and would do it again if I was a wee bit younger.